Sesame Street Party: Ideas for an Elmo Party. 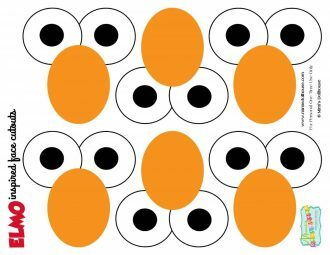 Sesame Street Party: Ideas for an Elmo Party. 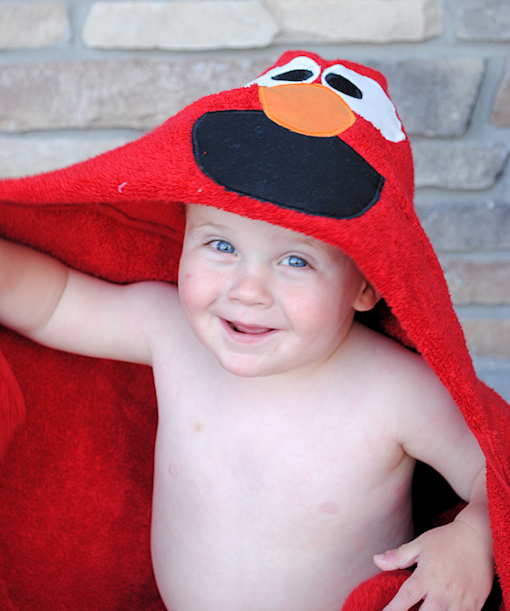 Thinking of diving into Elmo’s World? 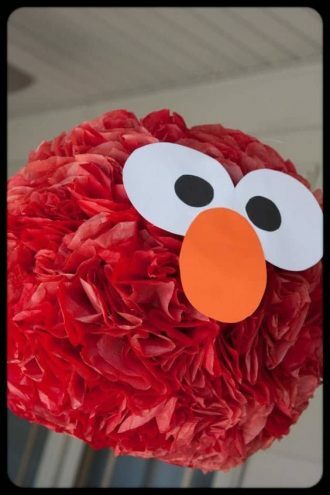 Today I am sharing some awesome Elmo Party Ideas. 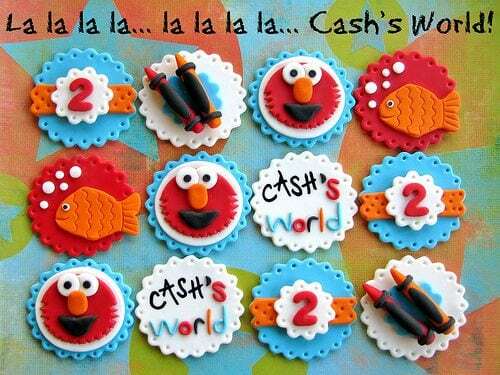 Looking for some Sesame Street birthday party inspiration? 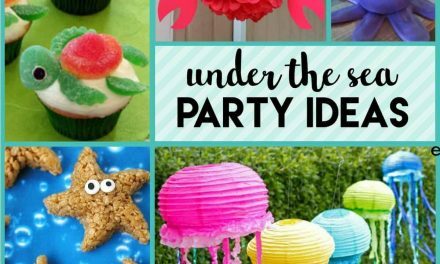 Check out these Sesame Street party ideas, this Elmo party, this girly Elmo party and this Cookie Monster party. These fondant cupcake toppers are so cute it hurts! I LOVE all the details. These would be an adorable addition to any Elmo party. Not only are these cookies adorable, but they come with a tutorial as well. Nothing like cute DIY cookies to share:) These would be a huge hit with the kiddos. I think this is such a cute idea and would make adorable and inexpensive party favors too. You can also let the kids run around the party wearing them like little Elmo capes which would make for some adorable photos. Macarons are so popular right now and the coolest part about them is that they do not have to just be simple macarons. There are so many creative ways to use them. These Elmo Macarons are some of the best I’ve seen! Love them! 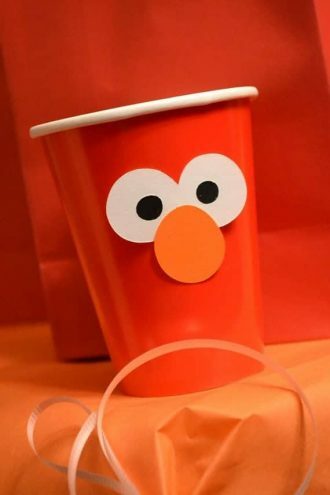 Another awesome idea for an Elmo party is using solid red items (1.e. poms, cups, treat bags, napkin rings) and adding the Elmo eyes and nose. Here is an example of a cute way to dress a cup. 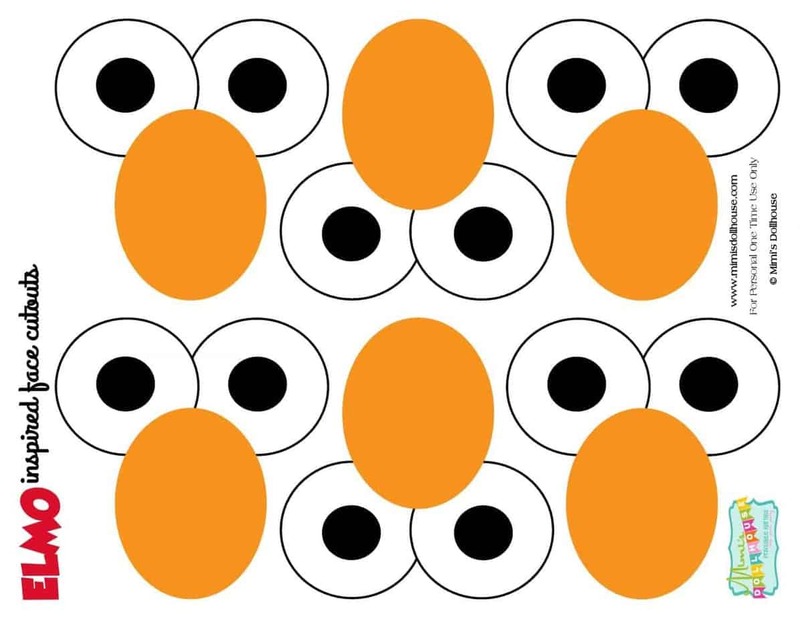 Making the Elmo faces is easy if you have some construction or scrapbook paper and cut or punch the circles. I also have a downloadable image if you would rather print and cut ready made. I love the idea of an Elmo themed birthday. My little guy will turn one in September and I am leaning towards this idea for his first birthday now! Those cookies look so awesome and it would be hard to eat! This is so cool!! The cookies look amazing! Everything about this post is adorable! I am a HUGE fan of theme parties and we’ve been throwing one for my son for 9 years now. I love the macarons especially. Your blog is beautiful, by the way. You are very creative!! 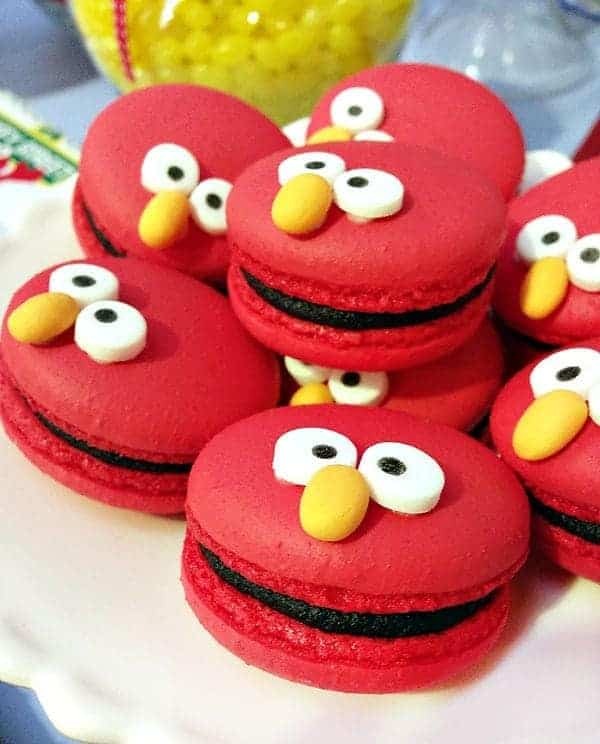 The Elmo macarons! Such a fun idea! 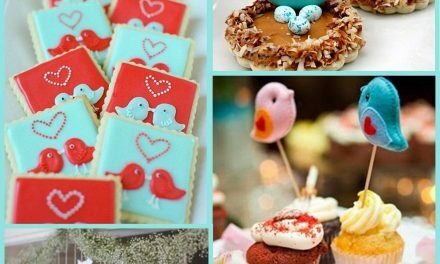 Pretty amazing baked goods, favors, and decorations! The Elmo loving kid would be in Heaven! These are so adorable! I love Elmo from way back! I am planning a party and will have to incorporate the ideas. Love the red pom decoration! So creative! 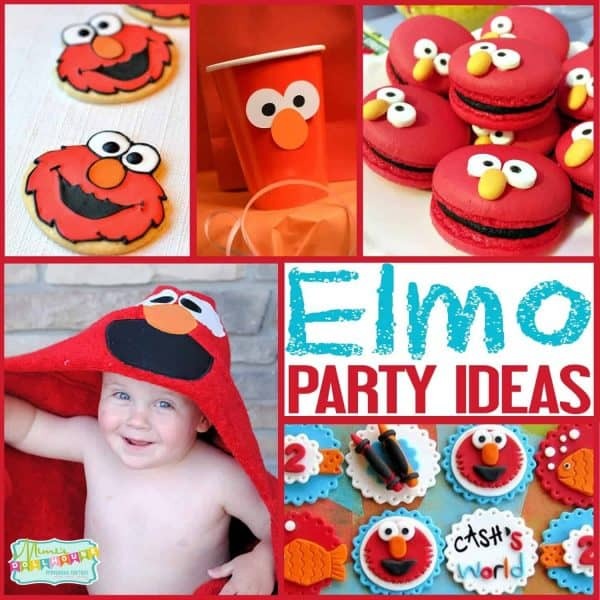 So many cute party ideas for an Elmo-loving birthday boy or girl! Thanks for all the great inspiration! All of those ideas are SO cute. I haven’t had an Elmo themed party yet. I would love to have one. Wow this is so cute! My three year old is a big Elmo fan! He would flip for this! I did an Elmo birthday for my son years ago, it was fun! I didn’t have any of these cute ideas though:) Love all your ideas, so cute and creative! OMGSH those Elmo macarons! They are amazing! Omg! 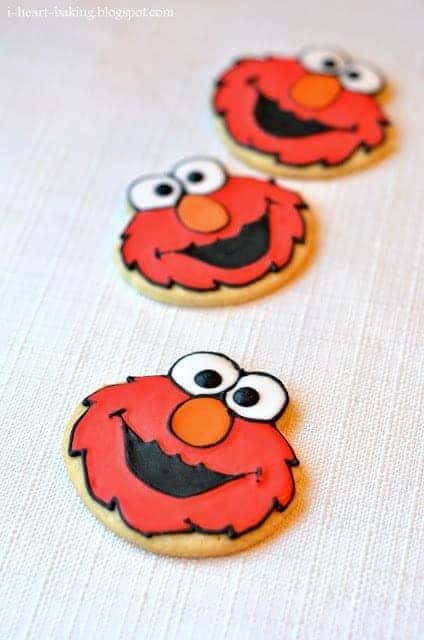 this is seriously the cutest Elmo party ideas! My little dude used to be obsessed with him when he was a little babe. Loved Sesame Streed to watch always with my older daughter. But as she has grown, I have not seen them for ages. These are all great ideas for an Elmo party! I can’t get over how adorable those macarons are! I love these ideas, so cute! I think my toddler would totally dig this for his 3rd birthday party! OMG – Those macaroons!! Great ideas – thanks for sharing! This would have been a huge hit with my daughter when she was littler. Super cute. My son is a huge Elmo fan and would love all of these. You are so creative, I love all your ideas! Now I have another idea to make a party for baby. Looking at the pictures, really make me wanted to shower a birthday party like that anytime. Always great to have theme party ! Elmo was always my kids’ favorite Sesame Street character, and they would have loved a birthday party with an Elmo theme. Those macarons are the cutest thing ever – they are almost too adorable to eat! 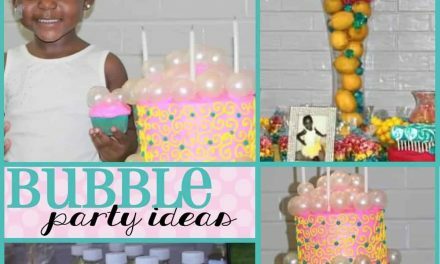 You always have the most creative and beautiful ideas for parties. I am glad that I follow your blog. So cute! What a fun way to put a twist on the classic “Elmo” theme. I LOVE the macaroons, so unique! My youngest son will be celebrating his 1st birthday this March and this idea looks amazing. Thanks for sharing this! The cookies are macarons are adorable! Such a sweet little party! Aw man, I loved Elmo as a kid! I need to come up with an excuse to use this for a party ;) Cute tips! Love it! I’ve pinned this before, but it’s so cute! Some of these decorations work really well in an infant classroom, too. ELMO!!! I LOVE THE COOKIES!!! I wish I had seen this years ago when my littlest one was younger, she would have LOVED this! These are such great ideas! I have an aunt who is obsessed with Elmo, I’ll have to show this to her!! I absolutely love these ideas! The Elmo macaron is fabulous. We actually had an Elmo birthday party a couple years ago for my son when he was obsessed, and I so wish I’d had this then! He was also Elmo for Halloween that year. Such a fun age. 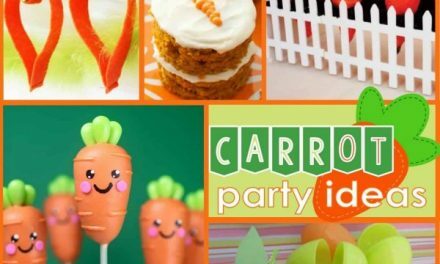 Such a darling party idea!! Love this post! My daughter loves Elmo so much. The macarons are especially my favourite. These are some pretty easy ideas and looks they are fun to put together as well . What a gorgeous and creative idea. I really love the Elmo Macarons they look delicious. I love the macarons! Such a unique idea. I’ll have to share this with my sister she’s looking for party ideas for her kids! That is so cute! I love the cups with the eyes. That’s easy enough, I would actually be able to pull it off – and those invites are adorable. My oldest, who is now almost six, had an Elmo themed first birthday party, so this post brought back lots of memories for me! So many cute ideas! OMG how fun!!!!! That Elmo towel is ADORABLE. What a fun collection of party inspiration!!! This is so cute!! I remember watching sesame street when I was a kid. My boys never got into it though unfortunately. I love the fondant cupcakes! So cute and perfect for a kids party. This is such an amazing idea. Yyyaaaaassssssss….now, I can actually figure out a real party! Thank you for the tips. How cute is everything. Loved those cookies and macaroons! This is super cute and creative!